YES recently revealed initial plans to celebrate their landmark Golden Anniversary this year, including the exciting announcement that founding member/Grammy winner/Rock & Roll Hall of Fame inductee Tony Kaye (keyboards; 1968-1971 and 1983-1995) will be joining Steve Howe (guitar since 1970), Alan White (drums since 1972), Geoff Downes (keyboards; first joined in 1980), Jon Davison (vocals since 2011) and Billy Sherwood (guitar/keyboards in the 1990s and the late Chris Squire’s choice to take over bass/vocals in 2015) as a special guest for this summer’s entire #YES50: Celebrating 50 Years of YES tour. 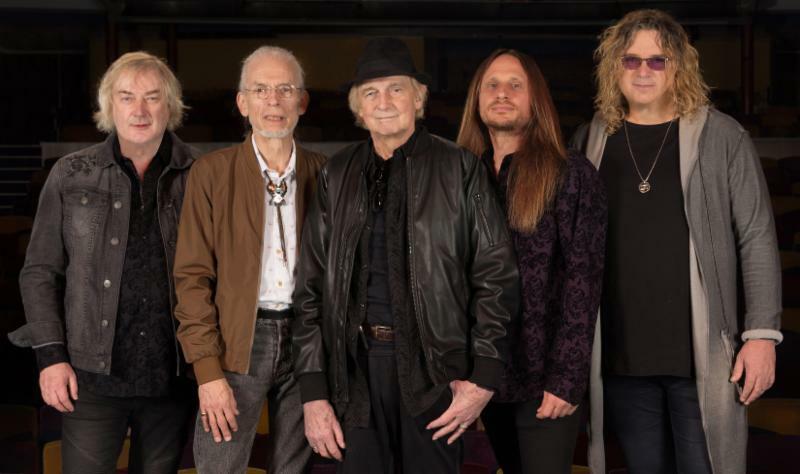 As the prog rock pioneers prepare to kick off their 35-date cross-country outing June 5 in St. Charles, IL, KAYE sat down to reflect on 50 years of YES and more. Read the Q&A below. Full list of YES tour dates can be found below and go to www.yesworld.com for ticketing information, including VIP and meet & greet package options. Let’s start with a big congrats to you on your Rock & Roll Hall of Fame induction last year and on this year’s 50th Anniversary of YES. Can you talk a little about what these career milestones mean to you? TONY KAYE: Thank you…I’m very happy the band was honored at last with the RRHOF award. To me, it meant a well-deserved recognition of the band’s music and long history and a thank-you to all the fans who have supported YES all these years. It was also a thrill to be asked by the band to participate in the 50th Anniversary tour this summer. It will be an honor to join Steve and the band to play those early iconic songs that were the beginning of YES. Did you ever think 50 years ago when you co-founded the band that it would still have such an impact on fans and musicians this many decades later? KAYE: We had no idea the impact of what we were creating back in the 60’s would be so long lasting…never mind 50 years. The fans of YES have been so dedicated in their support, and of course the music would not have meant so much without them. What are some of your greatest memories from the early days of YES? KAYE: Greatest memories are too many…but playing the Marquee Club on Wardour St. in London at the very beginning and getting to see so many great bands and meeting so many amazing musicians, especially Keith Emerson who was such an inspiration to me, has a very special place in my memories. You joined YES earlier this year for Cruise to the Edge, what was that like for you? Prior to CTTE, when was the last time you performed with YES? 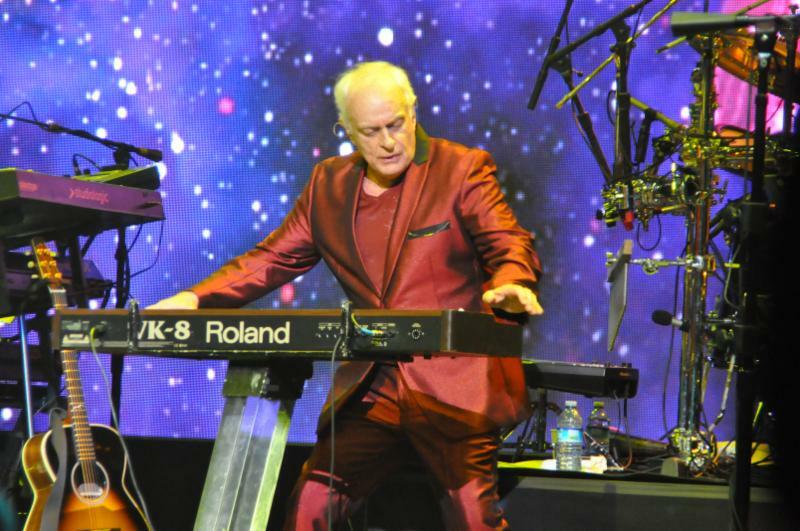 KAYE: My last performance with YES was on the TALK tour in the 90’s and very happily retired and even more happily married the love of my life. I didn’t miss playing or being on the road and it was only a chance meeting with Billy Sherwood that resulted in a change of plan. He persuaded me to dust off the B3 and get it out of storage which resulted in some really great music with CIRCA. Of course, Billy went on to play bass with YES when Chris Squire tragically died and it was great to reunite with Billy and YES on CTTE. 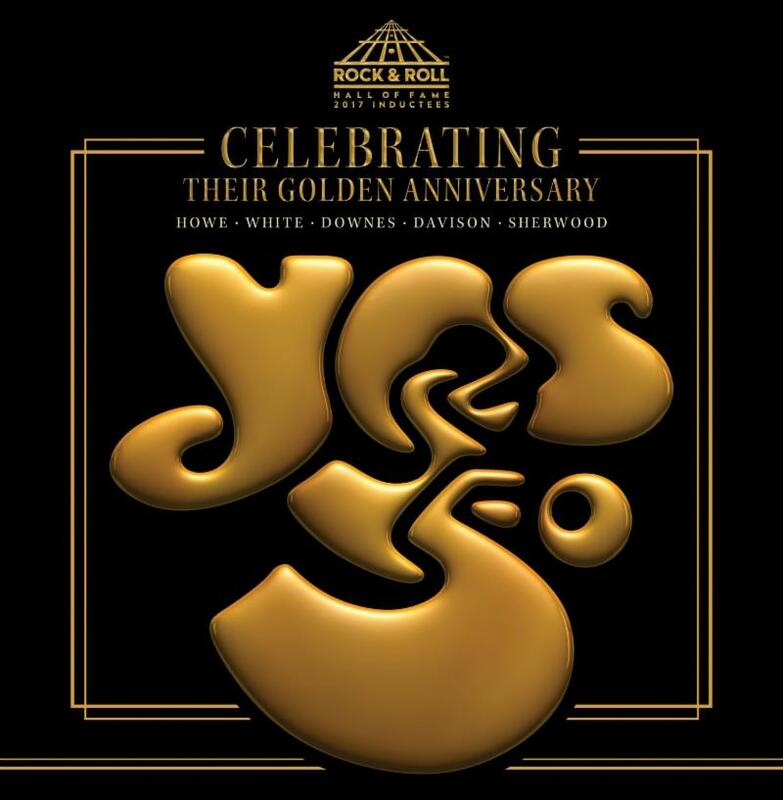 This summer, you will be sitting in on the entire 50th Anniversary Tour, #YES50. What are you most looking forward to about being back on the road performing this music? KAYE: The 50th Anniversary Tour is obviously a milestone and although I was not anticipating going on the road again, the opportunity to play YES music again with such great guys was something I couldn’t turn down. I am most looking forward to reconnecting with Steve after so many years, and playing again with Alan, Jon, Billy, Jay and especially with Geoff, who was so generous to me on the CTTE Cruise. It will be great and somewhat nostalgic for me to see all the YES fans at the shows around the USA this summer…I CAN’T WAIT. Tagged Alan White, Billy Sherwood, Geoff Downes, Jon Davison, Steve Howe, Tony Kaye, yes.